We officially have summer weather, and with warmer days comes the need of a new pair of shoes. I have very complicated feet; they’re bony, long, and with a nice steep arc, which allows me to walk and run at great speeds. With skinny feet and an amazing arc comes complications, such as shoes that doesn’t adapt or support my arc, leading to long days of feet pain. To ease my pain, I always seek comfort shoes. I have had better luck with some more than others, but I come across some complications once in a while; not only complications in comfort, but also complication in style. If you buy comfort shoes like myself, you probably find yourself hours after hours wondering what to do, as the styles can be more reminiscent of grandma, than yourself. 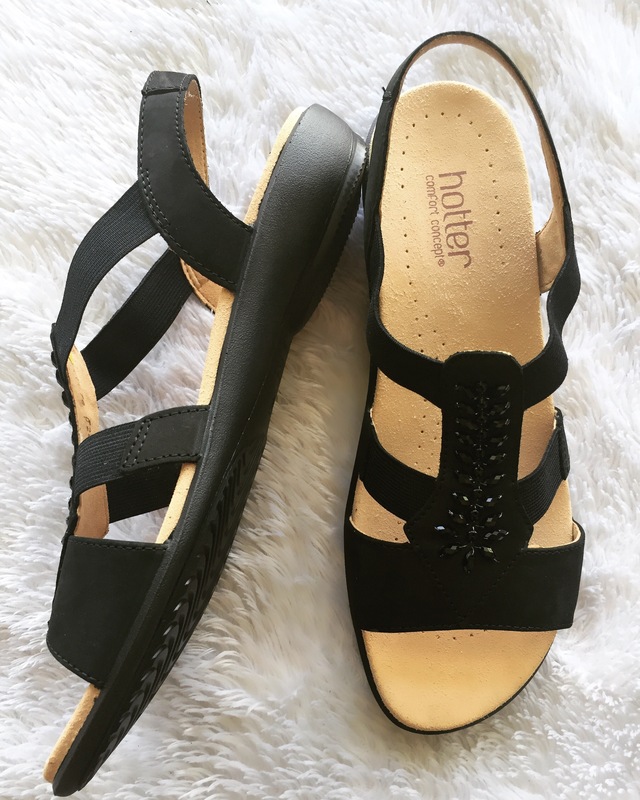 During my mini pain search, I had the opportunity to try U.K. brand Hotter Comfort Shoes, and I’m definitely hooked! These shoes actually look very pretty and they have a variety of very chic styles to choose from. As you may imagine, these shoes don’t only provide amazing arc support, but I also don’t end up with blisters at the end of the day. Believe it or not, I have tried many comfort shoes that didn’t only not provide enough arc support, but also got me a bunch of blister within only a few hours of wearing them. Hotter shoes are also very flexible (I was able to bend them a little); don’t get me wrong, these are very sturdy and well made! But the bend-ability provides the right support to adapt to my walking patterns. Overall I think that these are amazing and worth for you to check them out!